Hundreds of kilos of methamphetamine have been seized in the Philippines thanks to information from crimefighters in Vietnam. Now it has been reported that thanks to information received from Vietnam, a further 276kg of the drug were seized at the Manila International Container Port. 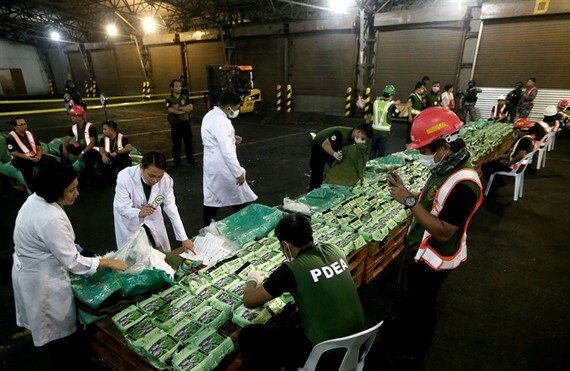 Philippines Drug Enforcement Agency director general Aaron Aquino said the drugs packaging was similar to those recovered in Vietnam on Wednesday. Police say the drugs recovered in Wednesday’s raid in HCM City were stored at Hasan Trade and Service Limited Company in Binh Tan District to be exported to Taiwan. The company is directed by a woman named Phan Thi My N. who is the girlfriend of a Chinese man suspected to be the head of a major trans-national drug trafficking ring. 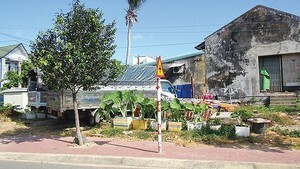 The seized drugs were transported from Myanmar, Laos and Vietnam and then to another country. Criminal proceedings against four people – Thao A Do from northern Dien Bien Province, Thao No Pao and Ly A Vu, residing in Central Highlands Province of Dak Nong and Huang Zai Wen, Chinese national are about to start. They were arrested on Wednesday following a series of raids at five suspicious storage locations in HCMC and two others in the Central Highlands province of Dak Nong. The operations was carried out att about 1.35pm on Wednesday by the Ministry of Public Security, in coordination with the Border Guards and the General Department of Vietnam Customs.